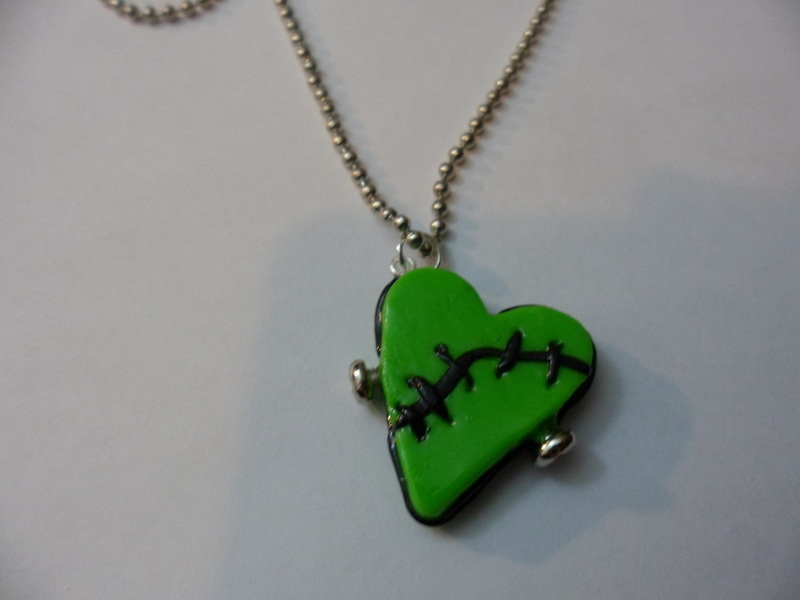 This broken heart has been repaired with a band-aid. Pendant on an 18" silver-tone link chain. Handmade and painted brass knuckles on a silver-tone link chain. 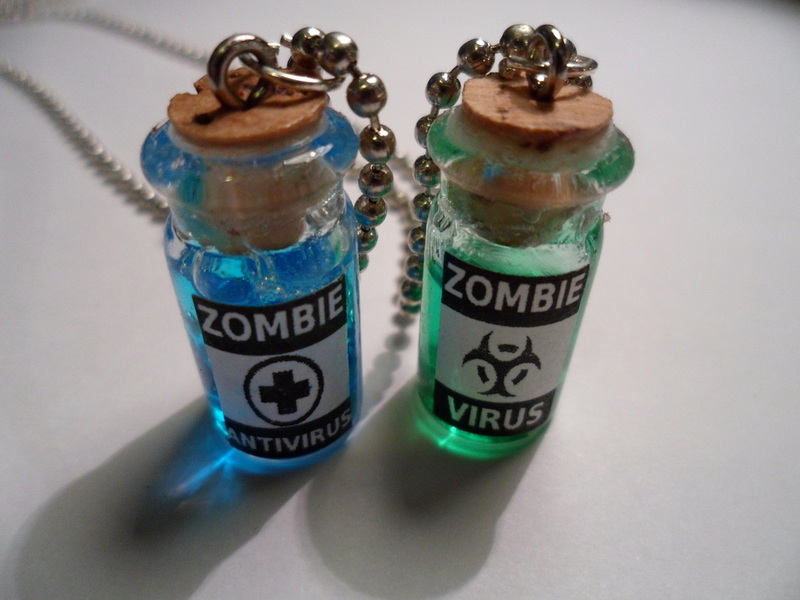 Chain may vary slightly. 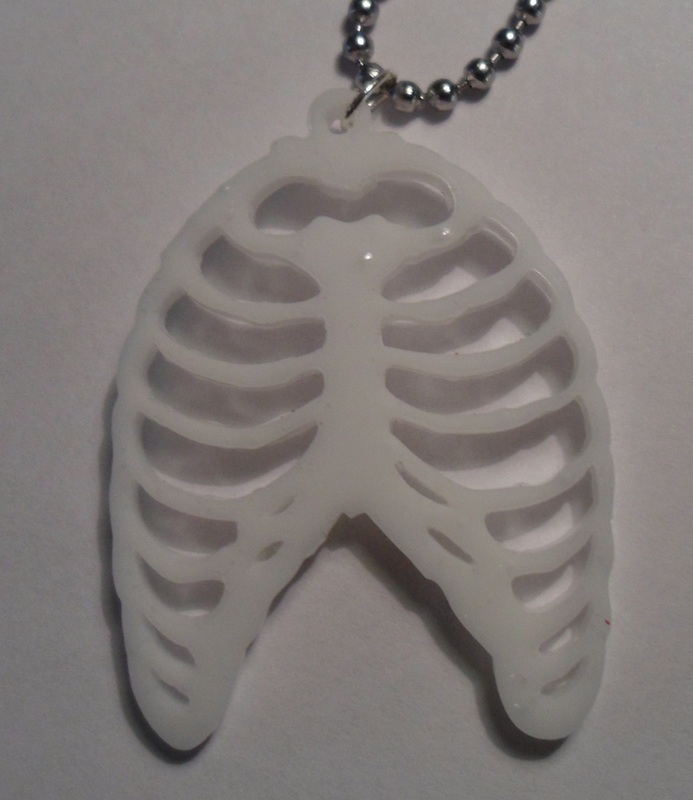 Overall length of necklace approx. 18". Featuring real screws! On an 18" ball chain. Don't let this one end up in the wrong hands. 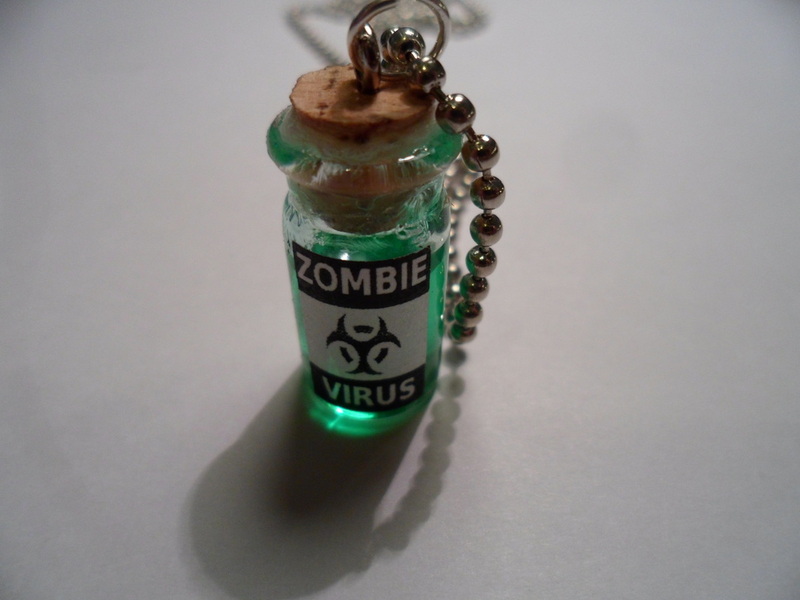 Vial of green zombie virus on an 18" ballchain. 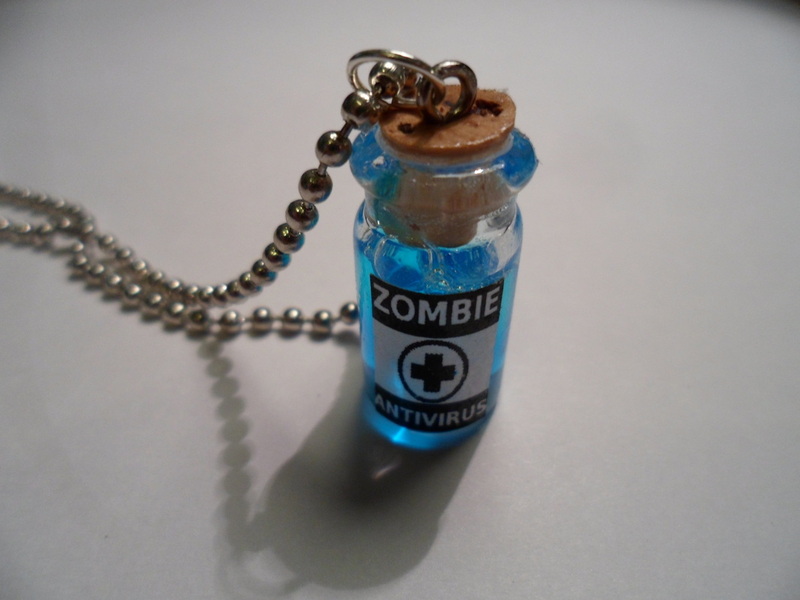 Handmade vial of blue antivirus on an 18" ballchain. 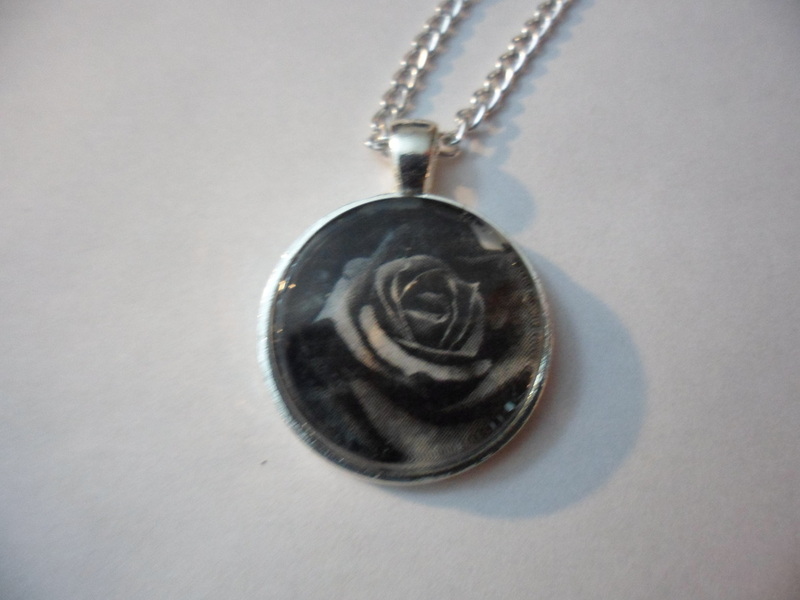 Handmade black rose pendant on an 18" silver-tone chain. Chain design may vary slightly. 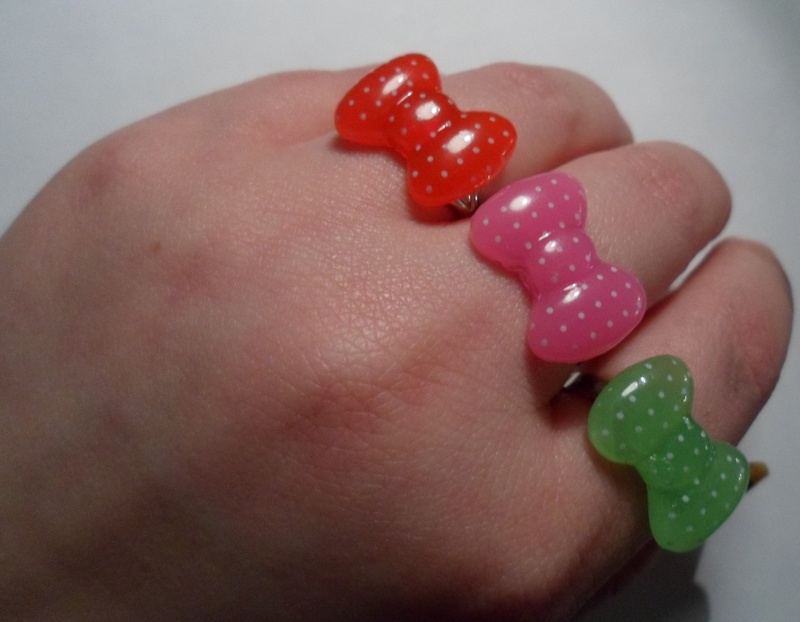 Handmade resin polka dot bow on an adjustable silver-tone ring base. Specify color choice when ordering. 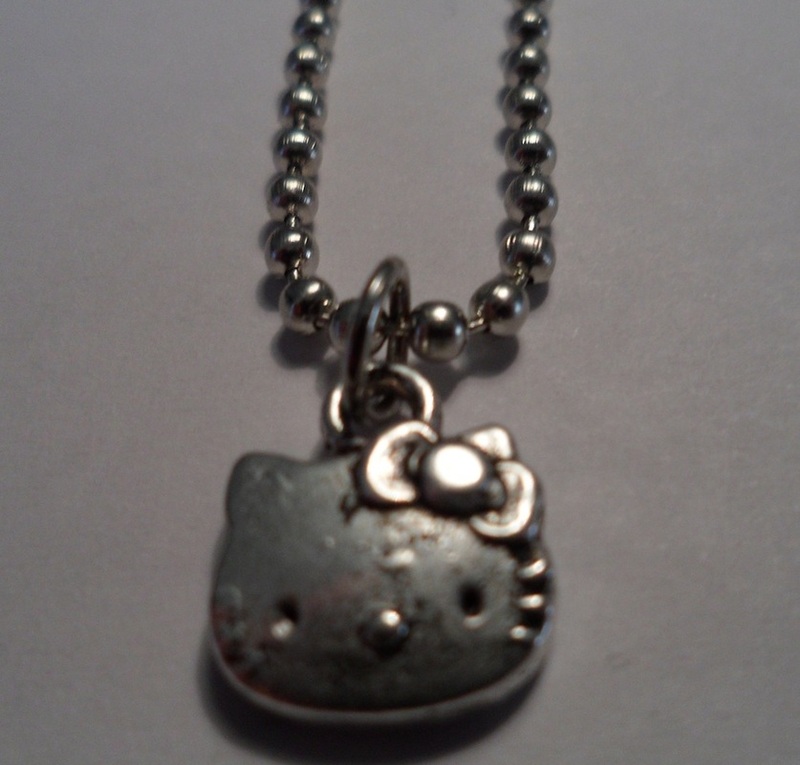 Polka dot Hello Kitty heart on an 18" silver-tone link chain. 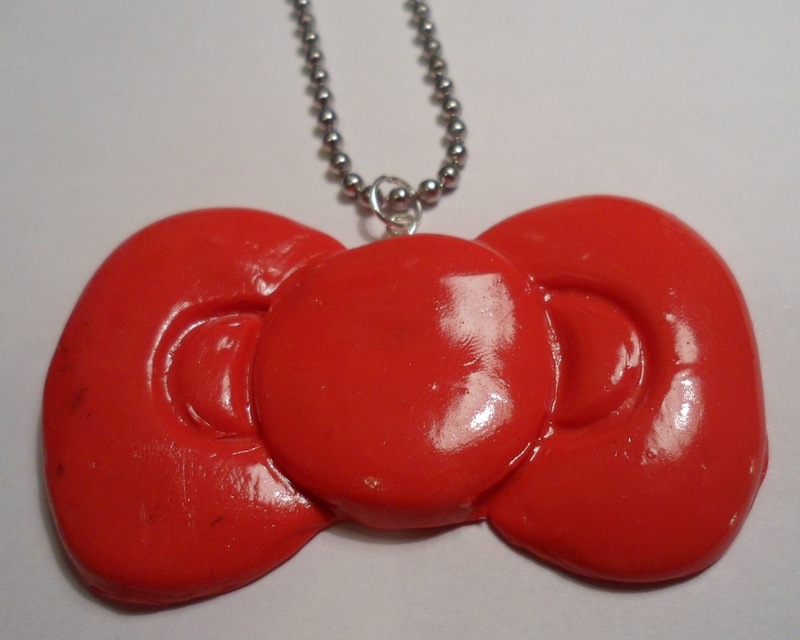 Handmade and handpainted resin bow on an 18" ballchain. Specify color preference when ordering. 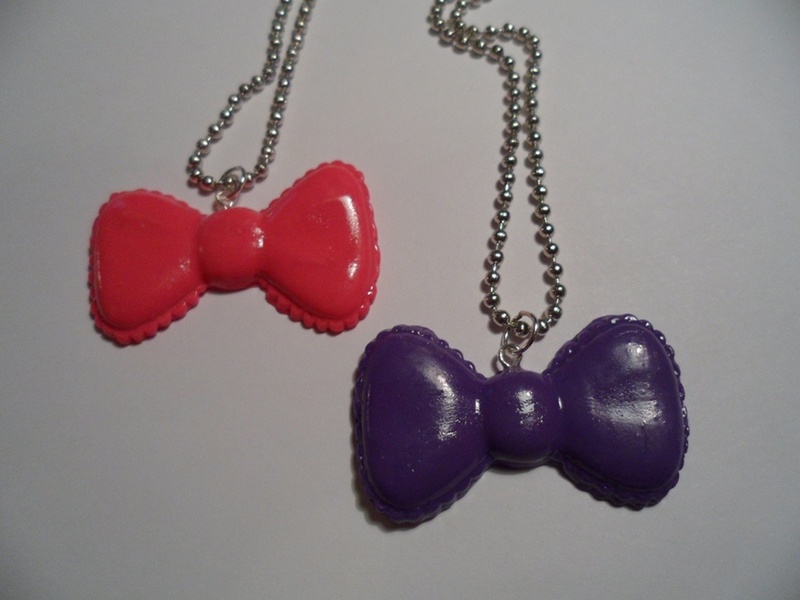 Resin polka dot bows on hypoallergenic earring posts. 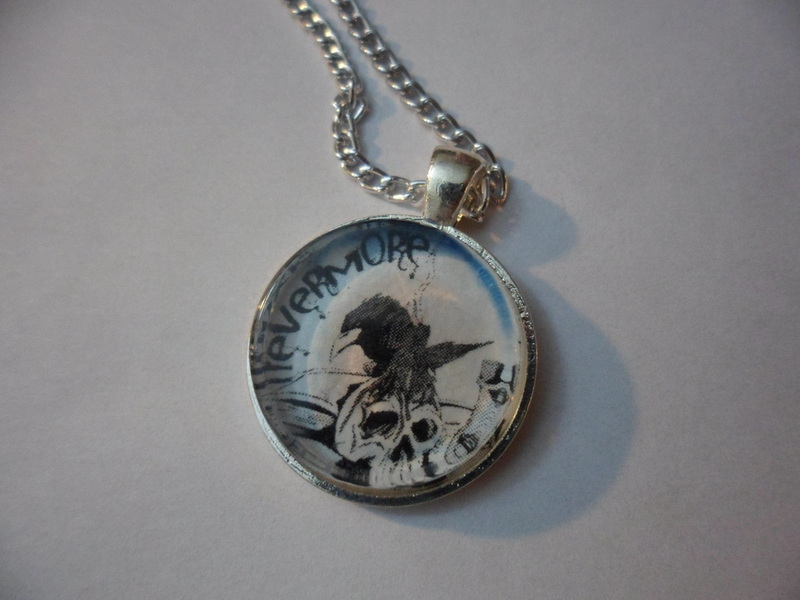 Handmade pendant inspired by Edgar Allen Poe's famous work on an 18" silver-tone chain. 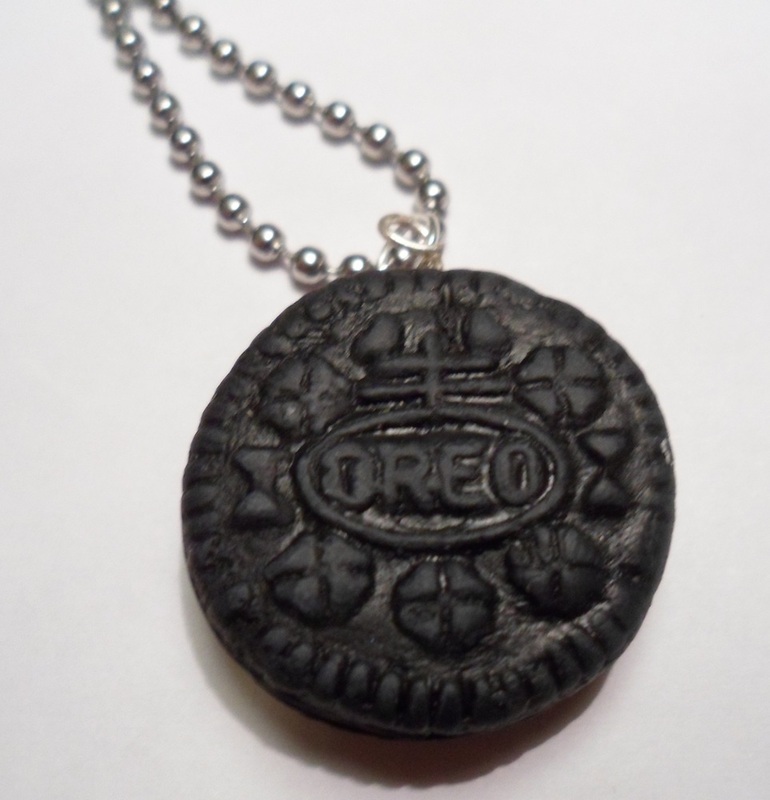 Chain design may vary slightly.